Dermelect is the first cosmeceutical line jointly formulated by medical professionals and licensed estheticians. The only line to bridge the gap between the physician’s office and spa cosmetic treatments, Dermelect focuses on bringing to market quality therapeutic products containing multi-tasking ingredients designed to improve lifeless looking skin while combating aging and environmental factors. Targeted solutions for problem areas with dermatologist tested ingredients. 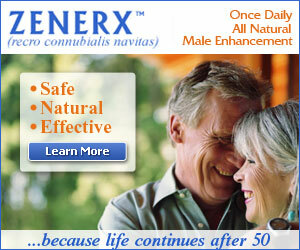 Dermelect is not another doctor’s range- it was developed with the guidance of the Dermelect Board of Advisors. We assembled an established group of professionals all centering their education and careers on skin care but all with different backgrounds and perspectives. Consisting of a facial plastic surgeons, dermatologists, celebrity stylists, estheticians and even an asthma specialist, we took their advice, input and knowledge and implemented it through every step of the process: from product identification and formulation to final packaging. Each item in the range was carefully thought out to contain proven, innovative ingredients designed to improve not only the skin but the esteem of the person who uses it. Minimal Time, Maximum Results! Dermelect Cosmeseuticals spotlights, as its key demographic, women experiencing natural changes in their skin due to aging, stress, environmental factors, menopause, and pregnancy. Concentrating on prevention as well as treatment, Dermelect provides targeted solutions to focused areas to provide ultimate benefits. Divided into four categories: Skin Solutions, Total Body, Eye Care, and Anti-Aging, the range is designed with the woman in mind. The luxurious yet effective solutions feature the latest technologies, ingredients, and delivery systems that are used to provide optimal beauty benefits. Our products are equally effective as a supportive range for pre and post medical procedures or as a stand- alone line for at home use. Dermelect resolves to be a forerunner of emerging trends by continuously developing new and original products and to effectively be able to adapt to change. Only the highest quality ingredients are used to create a prestigious and intelligent product under the highest standards. Dermelect strives to provide results-driven, reparative skin treatments for all skin types. All Dermelect products are dermatologist recommended, tested for purity and not tested on animals. 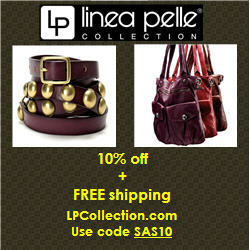 And they ship free in the USA from Zappos ! Dermelect Cosmeceuticals - Detoxifying Oxygen (O2) Facial Commission 3.3 oz instantly detoxifies and invigorates tired skin by releasing oxygen molecules and purifiers. Cleanses, re-energizes and de-stresses skin to a visibly supple, healthy and smooth state. 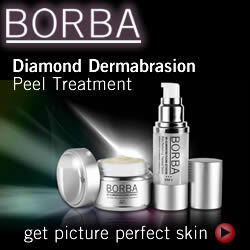 Detoxification effectively unclogs pores, removes excess debris, dirt and oil. 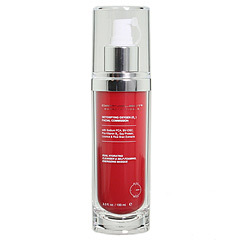 Complexion brightening formula gently removes make-up and other impurities. Use the Detoxifying Oxygen Facial Commission as a cleanser or as a deep cleansing, skin-soothing masque to furnish you with a fresher, younger-looking face. Recommended for all skin types- also effective for acne. As a cleanser: Lather and massage evenly and gently onto damp face and neck. Rinse well with lukewarm water. Pat dry. As a masque: Layer a generous amount evenly over damp face and throat. 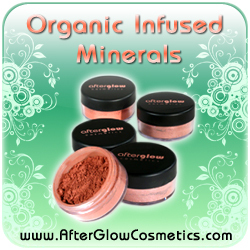 Allow oxidation to foam into a luxurious masque. Leave on for 2-3 minutes allowing product to draw out impurities and hydrate skin. Rinse well with lukewarm water by and pat dry. Active ingredients: Sodium PCA, BV-OSC, Pro-Vitamin B5, Soy Protein, Licorice Extract, Rice Bran Extract. 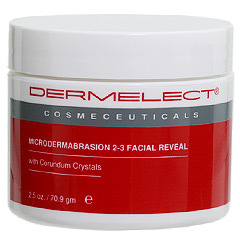 Dermelect Cosmeceuticals - Microdermabrasion 2-3 Facial Reveal 2.5 oz exfoliates to reveal glowing, fresh and more youthful skin beneath. The natural and gentle way to exfoliate without irritation. Formulated with high-quality Corundum crystals, the light cream base combines natural protein enzymes plus micro crystals to gently peel away exhausted skin cells to help smooth fine lines and wrinkles. The multi-action treatment works to lighten the skin while helping to even out skin tone and minimize the appearance of scars and discoloration. 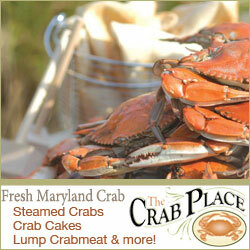 Also ideal for the neck, hands, rough knees and elbows. Excellent for all skin types except active acne. To use: Gently massage to cleansed, damp skin, in a circular motion, a nickel-sized amount of cream for 2-3 minutes. Leave on for 2-3 minutes and rinse with lukewarm water. For best results, use 2-3 times per week, leaving two days between applications. Follow up by hydrating with Dermelect® Cellular Redefining Face Serum. Active natural ingredients: Corundum Crystals, Vitamin A, Vitamin E, Aloe Vera, Orange Oil, Lemon Oil, Chamomile, Grapefruit Seed. 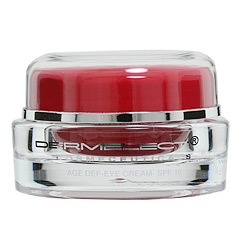 Dermelect Cosmeceuticals - Age Def-Eye Cream with SPF 15 0.5 oz helps diminish visible fine lines, wrinkles and crow's feet while it softens, nourishes and deeply moisturizes. SPF 15 reflects harmful UV rays and acts as a barrier against destructive free radicals. Working to counteract wrinkles, the effective properties of aloe vera provides hydration to the thin skin around the eyes and soothing chamomile extract calms relaxes and revives tired eyes and stressed skin. To use: Apply in the morning on previously cleansed skin around the eyes. Can be used under makeup. 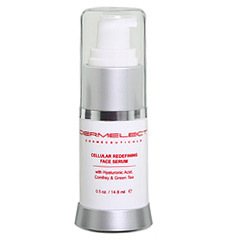 Dermelect Cosmeceuticals - Cellular Redefining Face Serum 0.5 fl oz works to minimize the appearance of fine lines for a clearer, more vibrant looking skin. Provides an advanced moisture binding complex to seek out dry areas and boost optimal hydration. Anti-oxidant protection for overworked skin helps stimulate cell renewal and support the skin's self-defense system. Comfrey and Green Tea improve skin's firmness and elasticity. To use: Apply to skin after cleansing. Use one drop on cheeks, forehead, chin, and throat. Follow with Dermelect Rapid Repair Facial Moisturizer. Active natural ingredients: Hyaluronic Acid, Comfrey, Green Tea, Vitamin E, Avocado Oil, Jojoba Oil, Safflower, Chamomile. 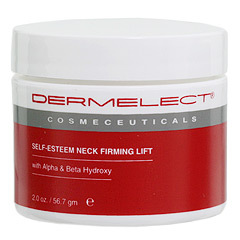 Dermelect Cosmeceuticals - Self-Esteem Neck Firming Lift 2 oz promotes firmer, more youthful-looking facial contours, refines cheeks, lower jaw and underneath chin area. A comprehensive blend of age-defying ingredients combined to hydrate, firm, tighten and streamline the delicate skin of the neck. By specifically formulating antioxidants with a total moisture replacement system, Self-Esteem Neck Firming Lift helps to increase the elasticity and resiliency of the skin while working to nourish and tone the appearance of sagging facial contours around sensitive areas of the neck and jawline. An innovative combination of hydroxy acids, potent antioxidants, vitamins, natural botanicals, the restructuring procedure optimizes skin tone and texture, and helps fade the appearance of fine lines and wrinkles. Non-greasy formula. To Use: Apply a quarter-size amount starting at the nape of the neck and working around to the throat in a downward motion and across the decollete in an outward direction. Use AM and PM for best results. Gently massage in a circular motion onto dry skin until fully absorbed. For all skin types except sensitive skin. Active ingredients: Alpha Hydroxy, Beta Hydroxy, Avocado Oil, Green Tea, Shea Butter. 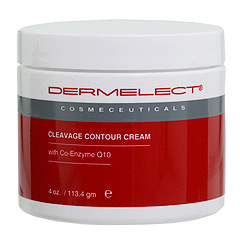 Dermelect Cosmeceuticals - Cleavage Contour Cream 4 oz enhances your natural assets with a specially formulated blend of concentrated herbal bust enhancers, clinically proven Coenzyme Q10 tighteners, and essential oils to help rejuvenate the skin's support structure to increase the firmness of the bust. Helps combat the visible signs of skin aging, revitalizes and moisturizes while leaving skin smooth and supple. Contains natural botanicals and Vitamins A, E and C to help tone and reduce sagging while supporting the skin's elasticity and texture. To use: Lightly smooth on this light, non-greasy lotion until fully absorbed from the base of your chin to the underside and sides of the breasts. Apply generously, AM and PM for best results. Daily use is recommended for maximum therapeutic and skin firming benefits. For all skin types. Active natural ingredients: Coenzyme Q 10, Avocado Oil, Jojoba Oil, Safflower, Hyaluronic Acid, Chamomile. Dermelect Cosmeceuticals - Smooth Upper Lip Perioral Anti-Aging 0.5 fl oz instantly softens vertical lip lines and frown lines for a more youthful appearance without irritations or painful and costly injections. The only product developed to address all of the physical factors that represent upper lip aging: vertical lip lines, shadowy under-the-nose pigmentation, and the loss of collagen that leaves lips limp and fine. The combination of ingredients in Dermelect® Smooth Upper Lip Perioral Anti-Aging Treatment contours the delicate area around the mouth with peptides, moisture binding agents, and skin brighteners. To Use: Apply to the upper lip and around the contours of the lips liberally at least twice a day. Do not to ingest or place directly on the lips. 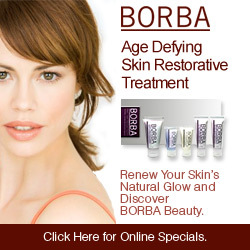 ; Active Ingredients: Matrixyl™ 3000, Hyaluronic Filling Spheres, Arbutin, Retinol, GABA, Collagen.